House Value - Find out what your home is worth in Today's Market! 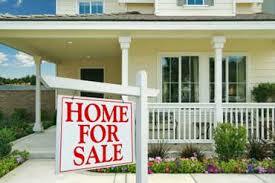 Do you want an accurate, up-to-date, market analysis of your home? You will receive a thoughtful, carefully prepared market analysis prepared by a local expert. ​Ron is an amazing realtor to work with! He has helped me and my husband sell two homes. With our most recent sale, he exceeded our expectations as the process became more involved than our prior sale. Ron was undeterred and effectively managed the increased complexity with ease. Post-inspection, we needed to make repairs and Ron not only recommended great vendors, but also seamlessly coordinated their work since my husband and I had already moved out of town. Ron does so much for his clients, and his customer service is what differentiates him from other realtors. Once you decide to sell, you will need to know your house value. This will need to be based on today’s housing market and the location and condition of your home. If you contact me, I will do a free market analysis and compare your home to other homes in the area and of similar style, square footage, etc. I will compare those in the area that have sold recently, those for sale, and those pending sale, ie. with an offer, but not yet sold. 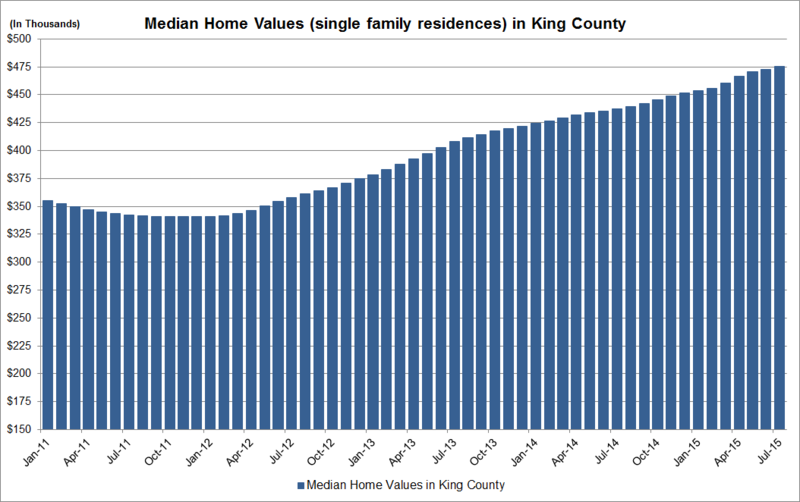 As you can see below, in Snohomish County and similarly in King County, median home values are trending upward. Median home prices mean that 50% of homes are worth more and 50% of homes are worth less than that value. To get an accurate value of your home and its unique qualities, contact me at 206.604.5186 today. 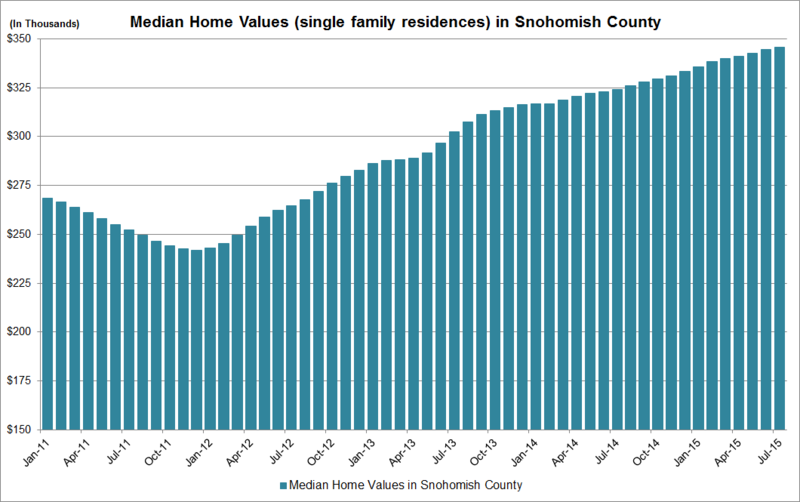 The median price of homes (single family residences) ­in Snohomish County is $345,600. Below is a chart of median home values from January 2011 through July 2015. You can see that home prices have been rising steadily since December 2011 when they hit their low point in Snohomish County.